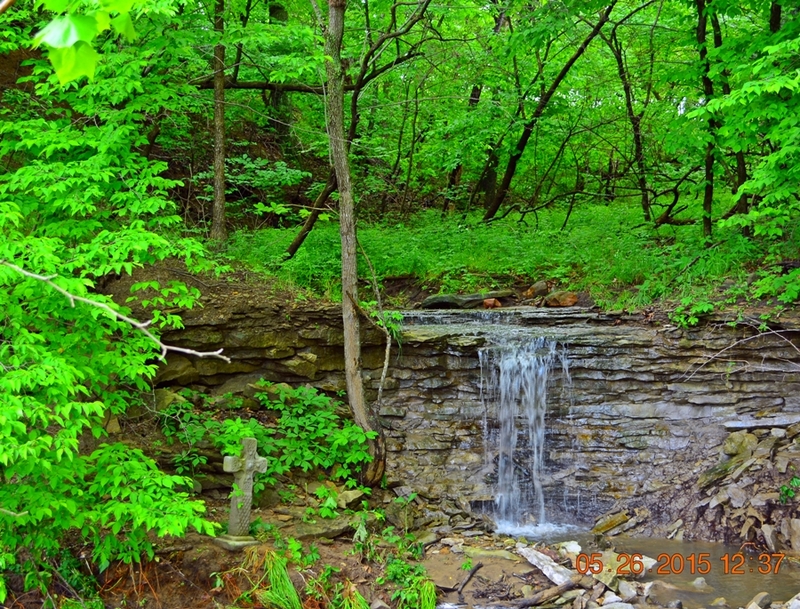 When we bought our farm, eight years ago, we did not even know that there was a waterfall here. I think it took a couple of months of exploration, once we moved out here, to realize what a treasure our land really is. I think of this as a sacred spot, at least for me. I can’t help but be thankful to God when I get over to our own, private waterfall. This entry was posted in Castle Argghhh Farm and tagged Castle Argghhh, God, nature, waterfall. Bookmark the permalink.